The security of the Panama Canal Zone and of China’s economic interests against terrorists and other criminal groups will be featured high on the agenda of the Chinese-Panamanian talks now underway in Beijing. The experts Sputnik had talked with also expect a new round of US-Chinese tensions over control of the strategic waterway. Even though the US’ positions in Panama have traditionally been strong, China’s huge trade and investment potential is seen by Washington as a serious threat. A delegation of senior security and trade officials from Panama led by National Security Minister Alexis Betancourt — the first such diplomatic mission since the two nations established relations nearly two months ago — is now in Beijing for talks with China’s Public Security Minister Guo Shengkun and other security and migration officials. In an interview with Sputnik China, Chinese Communications Ministry expert Yang Mian said that China, just like Panama, is interested in making the Panama Canal Zone as secure as it takes. “Panama’s biggest advantage is that it sits on one of the world’s busiest transport arteries. Even though washed by two oceans, the US needs the canal to connect its eastern and western seaboards. This is exactly why the Americans have in the past occupied the Canal Zone. Since Panama took over the canal in 1999, it has turned it into a free-trade zone, and China’s growing economic might has made Beijing the second biggest user of the strategic waterway,” he said. He added that with Chinese investments being of paramount importance to Panama, trade and other economic cooperation between the two countries is bound to take center stage at the Beijing talks. “As far as security goes, they will most likely focus on the war on international terror. 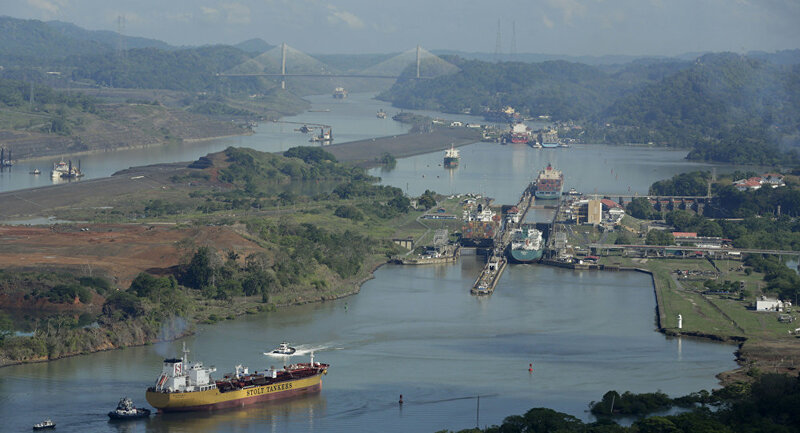 And with good reason too because, unlike a strait, the Panama Canal is a pretty narrow place and if terrorists manage to destroy it, this would deal a serious blow to international trade. As one of the canal’s main users, China is naturally interested in maintaining unhindered shipping via the canal,” Yang Mian continued. Alexander Kharlamov, an expert at the Institute of Latin American Studies in Moscow, pointed to another security problem that could be raised during the talks in Beijing. He said that even though US forces left the Panama Canal Zone in 1999, there have been reports that the US military bases will be re-established. In keeping with the provisions of the existing agreements between Washington and Panama City, the US is the sole guarantor of security of the Canal Zone, a status no other country can claim. Alexander Kharlamov added that this is why Panama decided to build a backup canal in Nicaragua. The construction, mainly by a Chinese company, was eventually scrapped over a lack of funds even though the Nicaraguans insist that the project is in a preparatory stage and ready to go. “With Washington’s role in the Canal Zone being second to none, the Panamanian authorities will not risk any confrontation with the US because if it does it could be ousted, especially now that it is facing growing opposition from both left and right,” Kharlamov said. “However, if the Chinese investments come as part of the Trans-Oceanic Trading Alliance, which also includes Panama’s neighbor Colombia and also Mexico, Peru, Chile and Costa Rica, all of which are China’s main investment partners in the region, then China’s clout will grow both in Panama and possibly elsewhere in Latin America,” he added. In June, Panama established diplomatic relations with China, breaking with self-ruled Taiwan in a major victory for Beijing, the second most important customer of its key shipping canal.